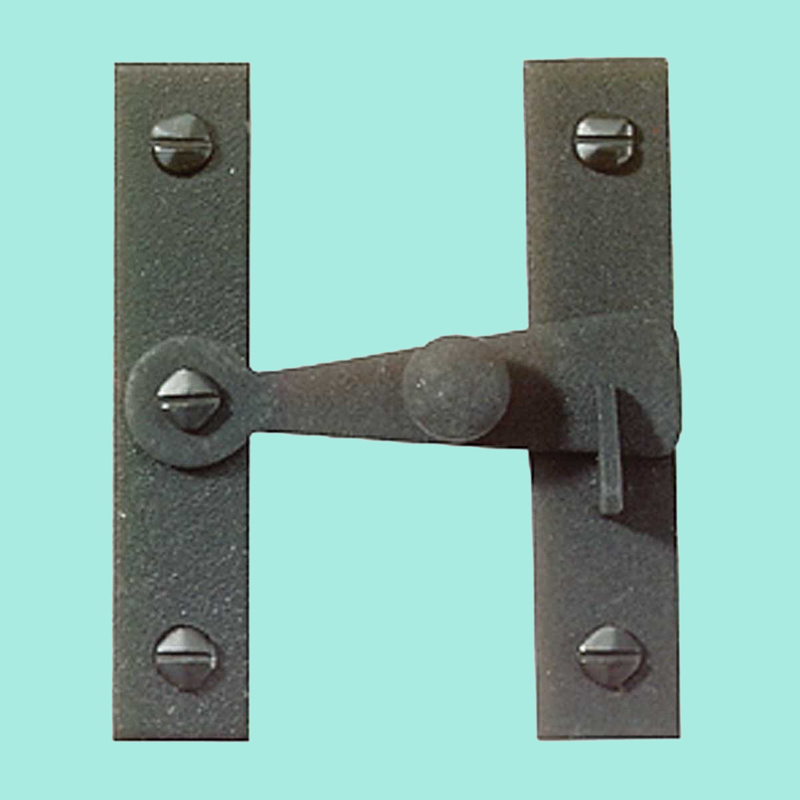 Cupboard Latches with distinctive features. Obtain your Cupboard Latches here now. Features distinctive wrought iron styling? Offers great value with dependable service? Comes in our exclusive RSF black protective finish? Flush mounts left or right side? Measures 3" long x 2-1/2" wide? Cupboard Latches: The "H" Flush wrought iron latches are hand-crafted in our New England forge. 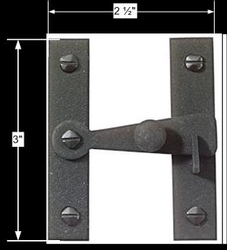 Solid construction and elegantly designed with our exclusive finish (RSF black), they measure 3" x 2 1/2". Offset available under 21058.